Two state agencies — one promoting Hawaii’s economic diversification through venture capital investment partnerships and the other that oversees development in Kakaako — are looking to join forces to develop an economic accelerator in the growing Honolulu neighborhood, a spokeswoman for one of the agencies confirmed to PBN. The “Kakaako Makai Innovation Block,” a partnership between the High Technology Development Corp. and the Hawaii Community Development Authority, is planned for a 5.5-acre lot with an allowable floor area of 360,000 square feet near the University of Hawaii John A. Burns School of Medicine campus on what is now being used as a parking lot. 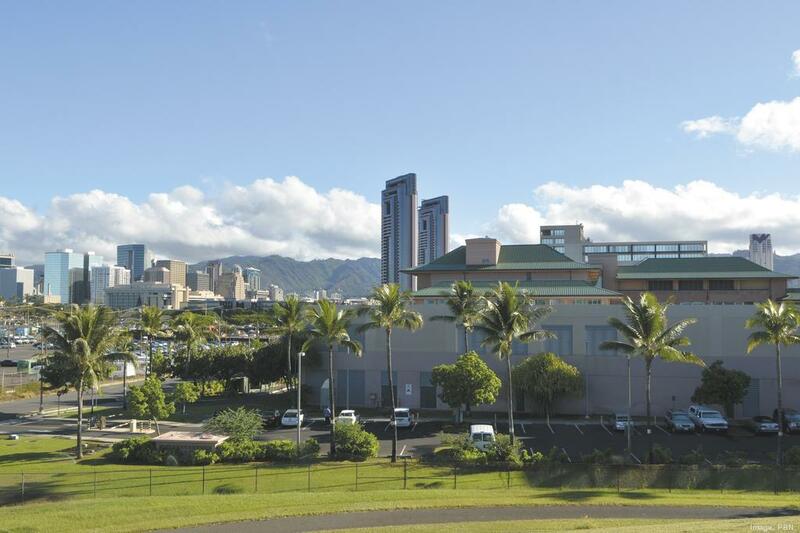 The block would offer synergy and connection with the medical school and the University of Hawaii Cancer Center, according to an information briefing on the project to the HCDA this week. The project would be done in three phases. The first phase would be an “Entrepreneur’s Sandbox,” a collaboration space for technology and enterprise, and an “Innovation Hale,” which would house technology and enterprise resources. The hale would include a stand-alone commercial office and retail mall and DataHouse Consulting, one of the biggest information technology firms in Hawaii, as well as Fisher Hawaii, one of the largest home and office product supply warehouse and retail stores in the state. Other potential tenants could come from health care, technology, education and data services. 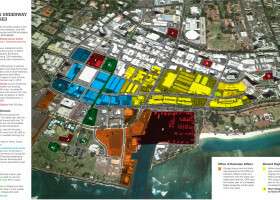 The second phase would consist of the “Kewalo Incubation Center,” a place for the High Technology Development Corp. facilities and a regional parking facility that would increase parking in the area from 400 stalls at grade to 600 to 900 stalls in a parking structure. The center would cater to start-ups, with space rents backloaded and customized for flexibility. The third phase includes a learning center with up to 150,000 square feet of facilities and the “Keawe Courtyard,” an outdoor gathering place. The HCDA is expected to hear more about the project at a future meeting. “[The collaborations] are aimed at improving business and economic development in Hawaii, especially in Kakaako,” Lindsey Doi, spokeswoman for the HCDA, told PBN in an email.